Yeah this is basically my hack idea I intend to do. Basically its based on Works of Binh Nguyen's ROM Hacks of R/B/Y where they are known as Upgraded v2.0. They make it possible to catch all Pokemon in Gen I as well as other changes. 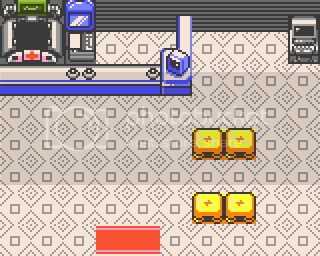 In this Rom hack of mine, the general idea is identical to Gold but with some differences. - New sprites (Replace a number of the Trainer Sprites and Pokemon sprites that were changed from the Japanese version. The Johto Starters have devamped sprites from HGSS done by me. (Incomplete However, trying to get final starter evolutions sprites to fit and its kinda of hard too atm)). - Changes to Gym Leaders and Elite Four (I rearranged the Pokemon and Levels of the Gym Leaders to match those from HGSS, including movesets or at least as close as I could since HGSS has moves that don't exist in Gen II so I used stand-ins that seemed similar. Red has his setup from HGSS and Lance was altered so he isn't a haxor (Made his Dragonites that are 49 into Dragonairs and his Lv50 Dragonite into a Lv55 so it would make sense XD). 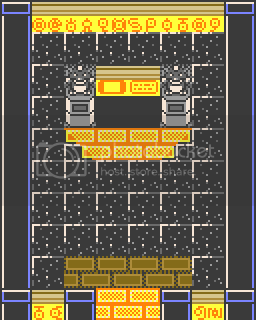 - New areas (I want to try to put in a few new areas, like Cerulean Cave for Mewtwo. Currently I have the Safari Zone accessible making it into the Kanto National Park and still working on it. (Learning how to script properly in a Gen II game -w-)). You're right, this does look better. 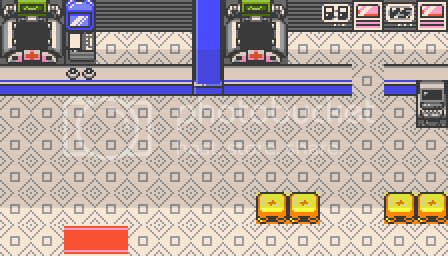 This hack is similar to my hack, Pokemon Golden (which is also a Pokemon Gold "Upgraded" type of hack). I haven't gotten to put devamped sprites in mine yet, but I'll get around to it. Looking forward to seeing more progress on this! Thanks its slow, but Im trying to get as much progress on it. Nice work mate, it can be frustrating sometimes to do something that you're unfamiliar with but I'm glad you stuck with it and accomplished your goal. Thanks :3 The new member RED showed me what to do in order to get the Wild Pokemon Data in here. 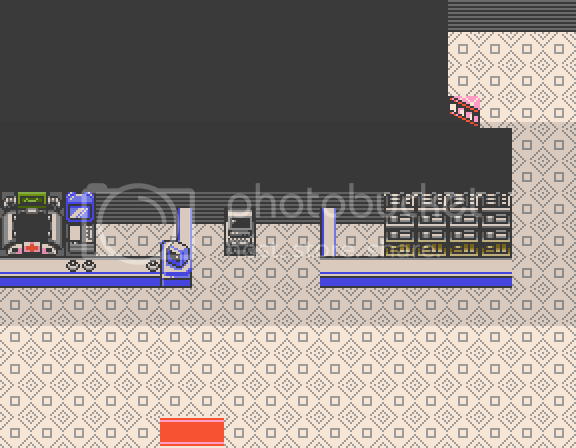 Basically its using the Silver Cave Pokemon but it uses the two rooms that are only used for the two items that are there. 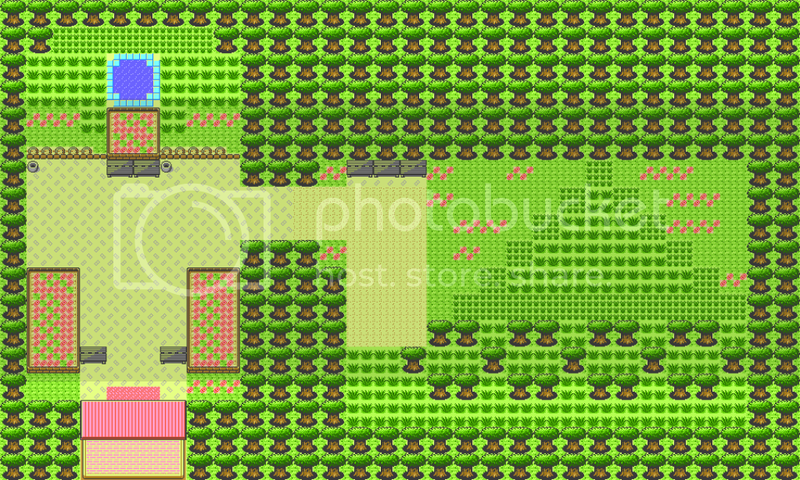 So I just edited the Pokemon you can encounter there so now you should be able to encounter Pokemon in the grass now. About the warp points you placed a shelf tile over, why don't you just delete the warp? In my opinion, the randomness of the shelf in the corner is rather unsightly and it isn't consistent with design of the rest of the Center. Alternately, you could just place a normal floor tile there. 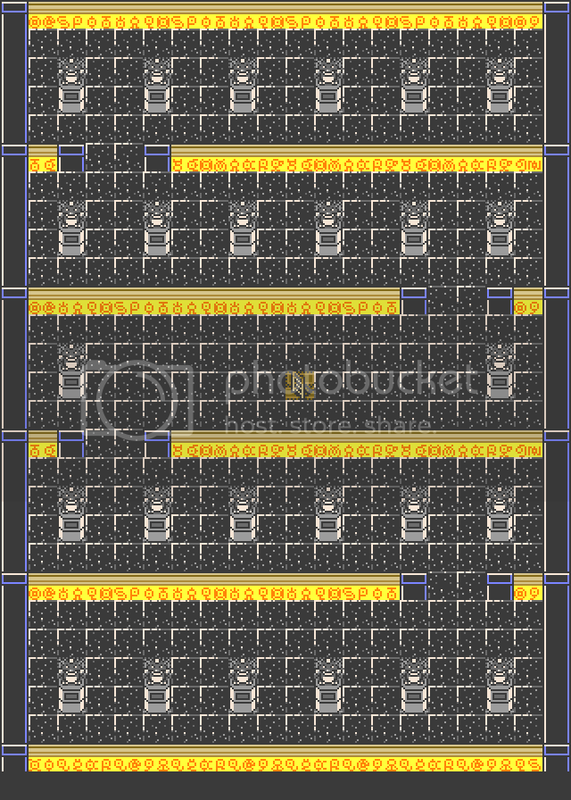 Since the floor tile doesn't have collision data for the warp to activate, the warp will do nothing when you walk on it. Oh. Lazy editing on my part ^^' I'll do that. But the overall look is good though right? No XD I live in the U.S. In Pennsylvania. ^^' Where did Vietnam come from?